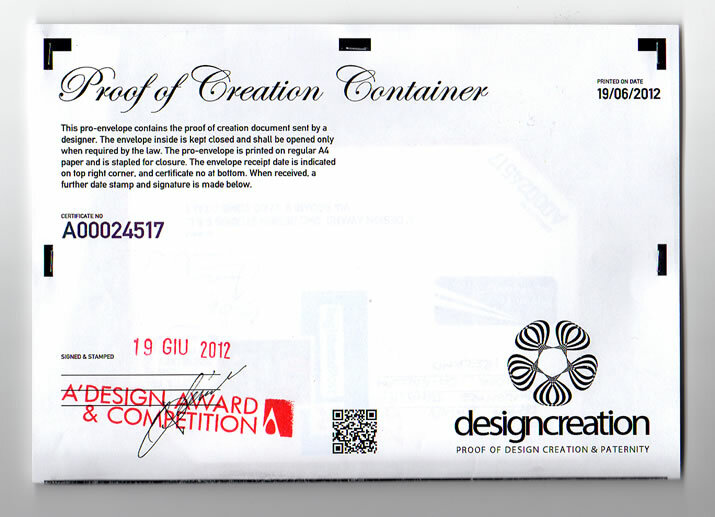 "Proof of Creation" is a service that A’Design Award and Competitions offers to the designers that participate to the competition. 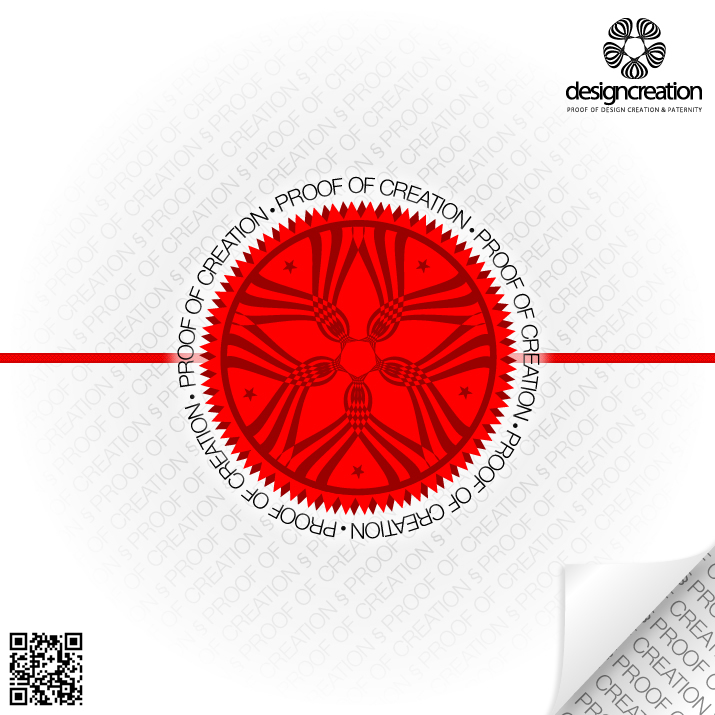 “Proof of creation” is a paper document that explains your design (title, description and images), and duly signed by the designer and two witnesses, that you deposit at a third-party (A' Design Award) to help you prove that you are the creator of a design (with design we mean “a unique design with artistic value”). It serves as evidence that you created a design at a particular date. Please note that "Proof of Creation documents is not a Patent or Design registration certificate and does not grant any exclusive rights on your design. In which contexts the “Proof of Creation” could be useful? The “Proof of Creation” could be useful to protect yourself as the creator of a design from eventual disputes over paternity of your creation, and it serves as a basis to prove that you are the creator of a design at a given time. An Example situation where “Proof of Creation” can be useful: You have created a new design, and shared it with some of your trusted friends. One of your trusted friends, shares it with a trusted company. The Company starts reproducing your work or realizing your design without your consent or knowledge. The company, also register your design or work to their own name. Later, you also want to produce your own design. However, you receive a cease-and-desist letter not to produce your design! The Company is suing you. So, in order to defend yourself, you will need evidence that you were the creator of the design, or you will need evidence to show that your design was created and/or made available to the public before the company’s design application date. According to the Laws of some Countries, the proof that the design was created at a given time along with the proof that it was made available to the public before the filing date of the company’s design application could also be useful in order to obtain a declaration of invalidity of the Company’s design registration. Your “Proof of Creation” can be handy at this step. 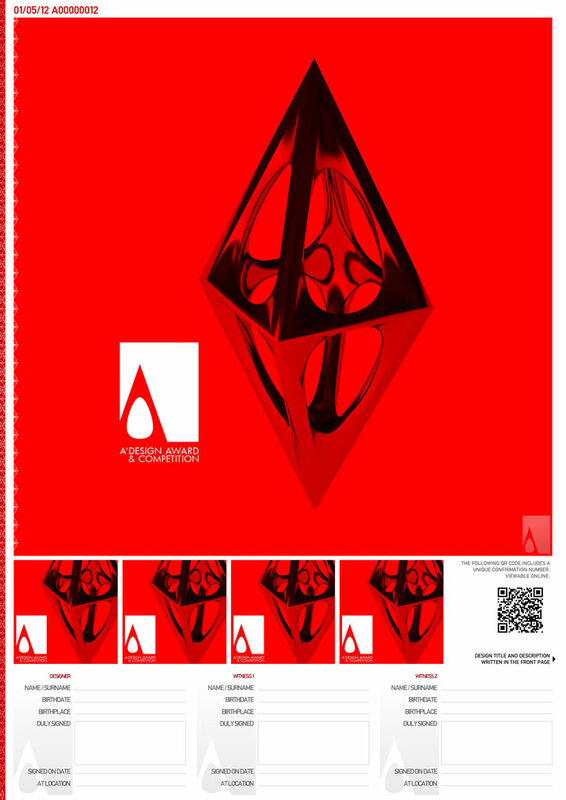 Service for depositing “Proof of Creation” sheets provided by A' Design Award has the only aim to provide supportive evidence that you own proofs of the creation of a design at a given time, in order to potentially protect yourself from future claims on third-parties to your design. It can also potentially be used to support your claims about being the creator a design at a given time. For your “Proof of Creation” to be more effective, you would need further evidence to prove that you are indeed the original designer or creator of the design. This could be done, for example, by having two witnesses duly sign your “Proof of Creation”, stating that they have witnessed the creation of the design by you, and by using a time-stamp that cannot be reproduced and legally accepted (such as a post office stamp or a stamp by notary). In addition, your “Proof of Creation” is further fortified by depositing it at a third-party. When done in this manner, the “Proof of Creation” can potentially act as evidence that you are the creator of the design at a given time. What do A’ Design Award Provide? We provide the “Proof of Creation” template which you can print in your office by yourself. The template is automatically filled with your design details and images, and can be accessed from your control panel. 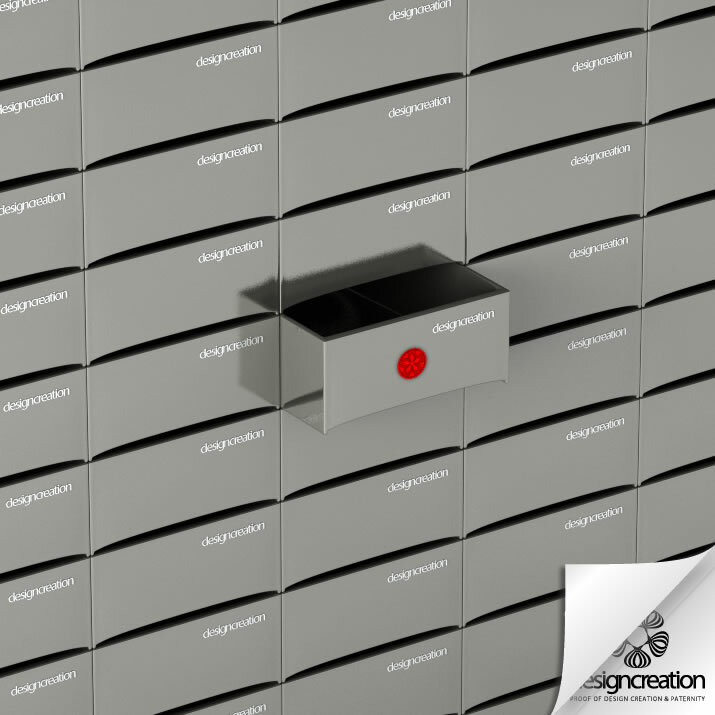 In addition, we provide a depository service for your “Proof of Creation”. We will keep your “Proof of Creation” documents, as a third-party. For each nominated design, no matter winner or not, and without having the need to wait for the results announced, you can have a "Proof of Creation". Only one document is allowed per nomination. The service is provided free of charge to A’ Design Award Participants (Winners, Runner-Ups and Non-Winners alike). You might be required to pay postage / stamping fees to send your copy of “Proof of creation” sheet which would cost a few euros depending your country of origin. 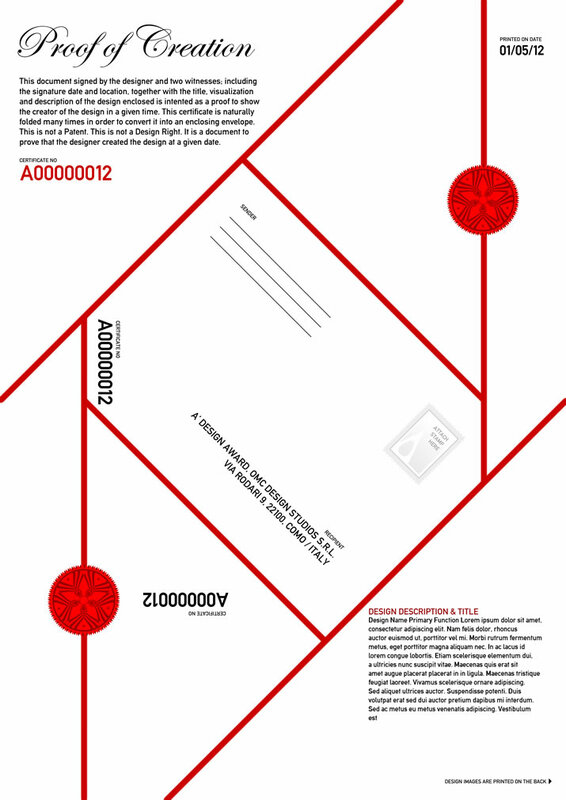 Your stamping fee is not covered by A' Design Award. To create the "Proof of Creation" document for your designs, go to your Control Panel and click on the "Proof of Creation" link. How do I obtain my proof of creation? We keep the proof of creation in our archives, you will not receive anything from us but you will be sending us the proof so that we add it to our registry. The process is fairly simple: 1. You will download the proof of creation template that is auto generated for you, this template is 4 (four) pages, composed of two very similar templates. 2. 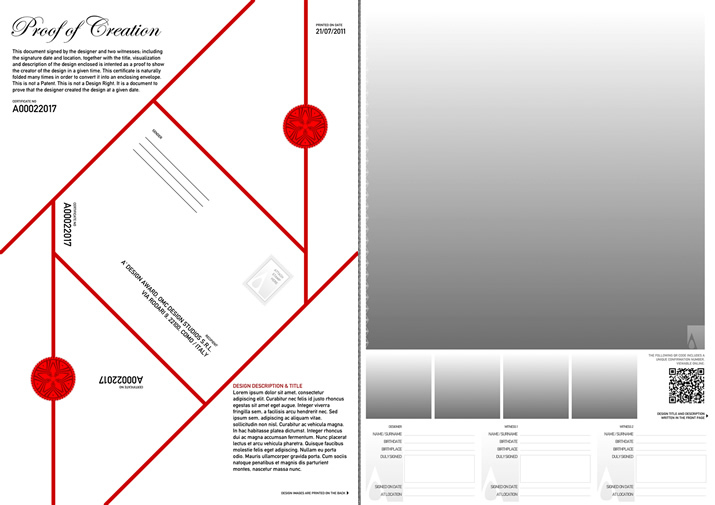 Print these template dual sided (front and back) as a single piece of paper. 3. Fold the templates into envelopes. 4. Send your 1st. 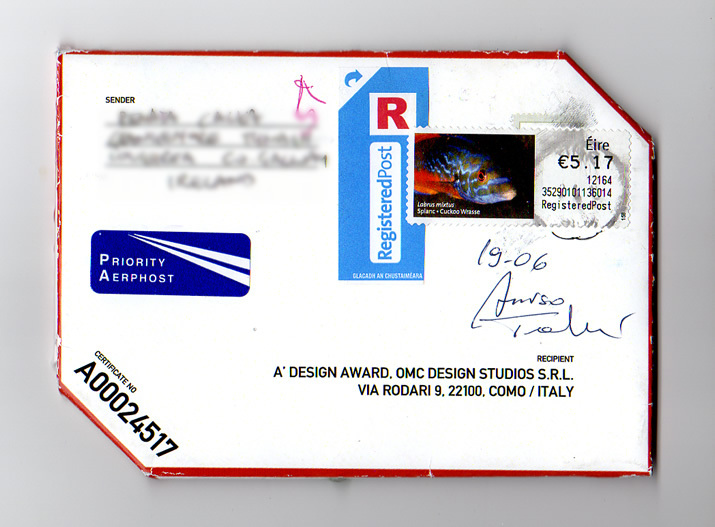 filled template (which is now an envelope) to A' Design Award as indicated in the template. 5. Send your 2nd. filled template to yourself (which should already have your mail address filled). We will update the database status when we receive your mail as "Received and Archived". The templates are automatically filled if you have a complete profile, therefore it is suggested that you update your profile details completely, especially you should enter your Name, Surname and Postal Address. In addition, your design details should also be entered; the design/book description will be filled on the “Proof of creation” sheet automatically along with the Name and description of the design. The only manual entry required is to have two witnesses sign your document. Use Museum-Grade / Archival-Grade or Conservation-Grade papers for printing your “Proof of Creation”: these papers should be acid-free and long-lasting. Papers with ISO 9706 “permanent paper” or ISO 11108 “archival paper” standards are highly suggested for longer periods of preservation and archival. The "Proof of Creation" should be printed on A4 papers. The sign on the right usually appears at high quality archival papers. Both mails (printed templates) should be sent by your post office, and must use the "proof of receipt" service: i.e. mails should be send as "Registered","Reply-paid", "Certified" or as "Recorded Delivery" letter for which proof of delivery is mailed to the sender, this service is provided by most of the countries and will have a unique name, for example in Italian it is called "Posta raccomandata". It is important NOT to put your envelope into any other envelope, box or casing. We need the post office in your country to stamp on the envelope which is actually your Proof of Creation” sheet. This way, the post office provides a time stamp which provides us a basis for the time sent. 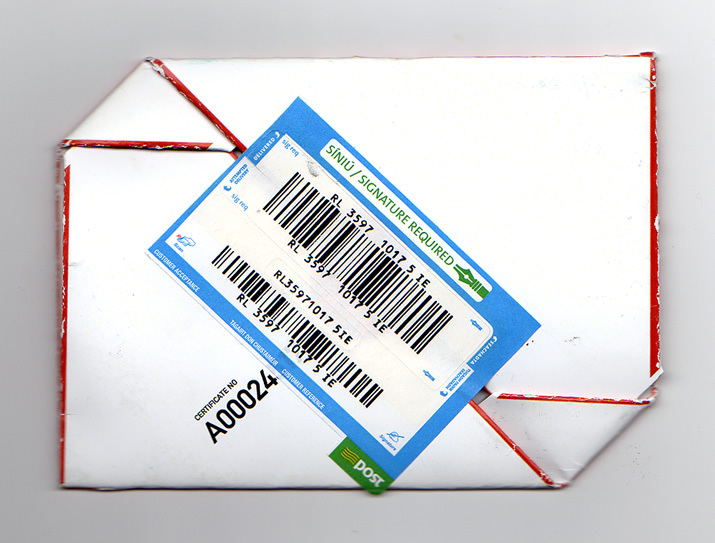 In most countries, registered mail is labelled with a 13-digits reference number and corresponding barcode. The first two letters indicate registration (usually "RR") while the last 2 letters usually represent the country where the registered item was posted. Folding the "Proof of Creation" into an envelope is easy. This is an origami envelope and is folded from a single sheet of A4 paper. 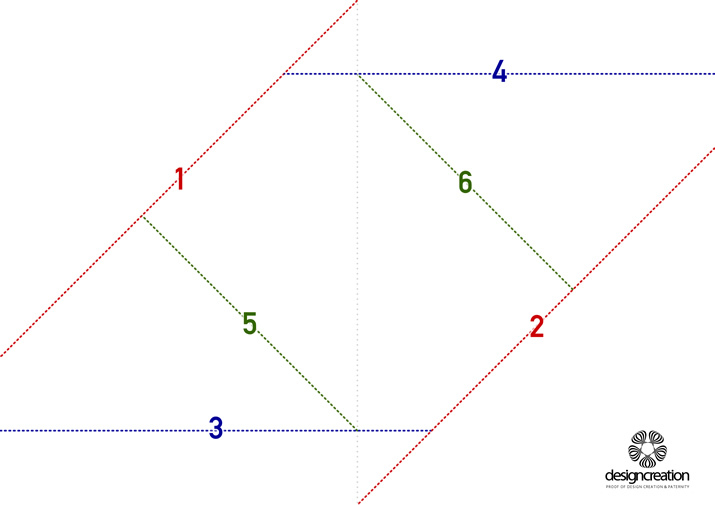 The edges to fold are given here, in the order of folding. Click here to see a demonstration. We will try to keep our copy of "Proof of Creation" for 5 years upon receipt. However this is not guaranteed. You should keep your own copy as long as you would require. You can also request their removal, if you want us to destroy your "Proof of Creation" or if you want to check its status (Whether it is still kept or not), please use your control panel - proof of creation menu. Copyright is a legal concept, enacted by the laws of most Countries and by International Conventions, giving the creator of a creative intellectual work (belonging to specific categories) exclusive rights to it (moral and economic rights). Generally, it gives the copyright holder the right to be credited for the work, the right to use and spread the work and, therefore, to determine who may adapt the work to other forms, who may perform the work, who may financially benefit from it, and other, related rights. It is an intellectual property form (like the patent, the trademark, and the trade secret) applicable to the expressible form of an idea that is creative, substantive and discrete (the national Copyright Laws and the International Conventions establish the requirements of the works to be subject to copyright). Copyright initially was conceived as a way for government to restrict printing; the contemporary intent of copyright is to promote the creation of new works by giving authors control of and profit from them. Copyright have been internationally standardized, lasting between fifty to a hundred years from the creator's death, or a finite period for anonymous or corporate creations. Under Bern Convention and World Treaty Organizations Agreement on Trade-Related Aspects of Intellectual Property Rights, copyright is not based on any “formality” such as registrations or systems of renewal*. This holds valid for works that pass the “threshold of originality” in the country of creation. “Proof of Creation” is to prove that you are indeed the creator of the design at a given time, so that you could potentially enforce copyrights for your design, of course in the Countries whose Laws acknowledge the copyright protection to industrial design. * Still some jurisdictions have required formalities to establishing copyright, most recognize copyright in any completed work, without formal registration. * Still some jurisdictions have required formalities to establishing copyright, most recognize copyright in any completed work, without formal registration. Threshold of creativity is a concept in copyright law that is used to assess whether or not a particular work can be copyrighted, the understanding varies from one country to another while some countries follow the "sweat of the brow" doctrine and others follow the “height of creation” philosophy. In any case, in general, especially artistic designs and artworks can be protected by copyright. The industrial designs do not always fall into the works that are protectable under copyright law: not all the national Copyright Laws provide for the protection of industrial design; the protection granted under the Copyright Laws that acknowledge protection of industrial design usually establish specific requirement for the design; for example, the Italian Copyright Law (Law n. 633, 1941 and subsequent changes) grants protection to the “industrial design that are endowed of creative and artistic value” only. © 2011 by A’ DESIGN AWARD & COMPETITION, OMC DESIGN STUDIOS SRL. All rights reserved. No part of this text may be reproduced or transmitted in any form or by any means, electronic or mechanical, including photocopying, recording or by any information storage and retrieval system, without the written permission of the authors. Tutti I diritti sono riservati a norma di legge e a norma delle convenzioni internazionali. La riproduzione é vietata ai sensi di legge (art. 171 della legge 22 aprile 1941, n. 633). Nessuna parte di questo testo può essere riprodotta o trasmessa in qualsiasi forma o con qualsiasi mezzo, elettronico o meccanico, compresa la fotocopiatura, la registrazione o l'eventuale archiviazione o riproduzione in rete, senza il permesso scritto dell'editore, salvo nei casi consentiti dalla legge. How to Make Proof of Creation Documents? Access the “Proof of Creation” section in your control panel to learn how to create the documents, in essence, the documents are generated by our platform. Below you could see an example which we did, we especially printed them on thin paper so that you could see front/back, but we advise you to print them on thicker, acid-free papers. How do we Save these Documents? The “Proof of Creation”Below, you see a proof of creation document that was sent to us. As you could see, it is sent by registered post, the document is sealed, therefore we do not actually know what is inside, and we keep it that way. The envelopes will be open, only if required by the sender or the law. Keep in mind that the registered posts are by their nature, registered; i.e. the date of sending and receipt of the posts are kept by the sender or the post authority. Therefore this provides proof that the sender had the design with him/her at the time of sending. Hint: As you see below, using a heavy paper, makes it a better envelope. How to Update Your Documents? To update your proof of creation, please change the relevant information in your profile and design details as explained. Images can be changed by updating your design images and logo. Proof of Creation pages are not totally customizable, but could be configured by updating some parameters. Below you see an example proof of creation page for demonstration purposes only.